Bayer’s decision to drop the name means Monsanto products like Roundup will still be Roundup, but now they will be Bayer’s Roundup, not Monsanto’s Roundup. Roundup will still contain glyphosate. “Bayer will remain the company name. Monsanto will no longer be a company name. The acquired products will retain their brand names and become part of the Bayer portfolio,” Bayer said in a statement to Reuters. GMOs: What Are They, The Risks And Where Do We Find Them? We’ve all heard it: GM food is the devil. We tell our friends how bad it is, we try to avoid it and sigh in relief when we see ‘GM Free’ on food products. But what do we know about it, really? The controversy surrounding GM food is complex and far-reaching, with people dedicating their lives working for and against GM foods. Whichever side you decide to take, the crux of the matter is understanding what GMOs really are. 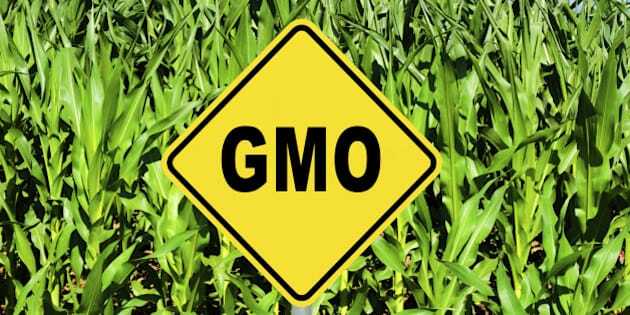 GMO stands for ‘genetically modified organisms’ and refers to genetic material that has been artificially altered through genetic engineering to change its characteristics. “Genetically modified plants are created by splicing DNA from various sources, including bacteria and viruses, into the plant’s genome,” Fran Murrell, co-founder of GM-free organisation MADGE, told The Huffington Post Australia. “New genetic material is directly inserted into the pre-existing genetic material of an organism to give the organism a new characteristic,” said Dr Heather Bray, a senior research assistant in community attitudes to agriculture at the University of Adelaide. Essentially, GM foods are a result of modifying genetic material using a method that doesn’t occur in nature and are used to improve crop protection and insect resistance. But haven’t we been modifying plants for years? What about hybrid fruits like the grapefruit and tangelo? Contrary to popular belief, there is a difference between cross breeding and GMOs. “Humans have been manipulating the genetic makeup of plants and animals for thousands of years and very few of the animals and plants we eat have any resemblance to their wild relatives,” Bray said. Modern produce -- including apples, bananas, seedless watermelons and grapes -- have all been cross bred for better flavour, size and colour. The major difference is that cross breeding is done through sexual reproduction, not artificial manipulation as in genetic engineering. “The ability to directly add new characteristics, or turn characteristics on and off, is something quite specific and different from selective breeding, even though it has the same end goal -- to produce plants and animals that suit our purposes (which may range considerably from enhancing nutrition, being more environmentally sustainable or resistant to disease),” Bray said. “Genetically modified products are in an estimated of 60 percent of processed foods,” coordinator of GM Free Australia Alliance Jessica Harrison told HuffPost Australia. Currently, the approved GM foods for consumption in Australia are soybean, canola, corn, potato, sugar beet, cotton, wheat and rice. However, the other genetically modified foods mentioned are grown overseas and imported into Australia. “Many consumers worry about a wider range of products than those actually made or grown in Australia because they are consulting sources -- particularly on the internet from the U.S. -- where there are considerably more GM-containing foods, particularly corn and soy-based products,” Bray said. Another way people might be consuming GM food is through the animal products they eat. “Aside from being imported as raw ingredients and in processed foods, genetically modified soy, corn and sugar beet may be imported as a stockfeed -- therefore, if you eat animal products (like milk, eggs, fish and meat) that are not organic you may be eating GM food,” Murrell said. “Interestingly the Food Standards code specifically says food from an animal that ate GM food is not considered GM,” Bray said. Understanding which foods are GM can become more difficult when we consider that some GM-derived foods do not require labelling. “GM food has to be labelled but there are some exceptions,” Bray said. For instance, as Ankeny points out, “Canola oil from GM canola grown in Australia will not be labelled due to the labelling exceptions outlined in the Food Standards. The food is for immediate consumption (e.g. restaurant or takeaway food). “Foodstuffs that fall under these exceptions may well be of interest to consumers seeking to avoid GM for whatever reasons, which are not labelled as such,” Ankeny said. "Because of the lax labelling laws, we’re not sure of what percentage of food is GM, so we have to then err on the side of caution,” Harrison said. The simple answer: we don't know for certain. “All of the GM organisms and foods that have been approved by the OGTR [Office of Gene Technology Regulator] and FSANZ have been assessed by them as being safe. Any new organisms or foods that arise will also need to go through that process,” Bray told HuffPost Australia. Murrell still has concerns, saying that -- compared to ordinary selective plant breeding -- genetic engineering is “dodgy”. For Harrison, the GM food issue comes down to two concerns. “One of them is the unpredictable nature of genetic engineering and the other is that the most common genetically engineered products are used in conjunction with the herbicide that has now been declared a probable carcinogen,” Harrison said. A lack of long-term studies on the effects of GM foods is also another cause for concern for many people. “Opponents to GM stress that this type of assessment of risk is too limited, notably because there is no independent or longitudinal assessments of toxicity performed on GM foodstuffs before they are approved,” Ankeny said. Despite some GM foods being approved in Australia, Murrell and Harrison believe there are risks associated with GM foods. According to Murrell, the process of genetic modification disrupts the biochemistry of the plant and may produce new toxins, allergens and anti-nutrients. The use of herbicides in GM plants to fend off insects is another concern. “Most GM plants are sprayed with Roundup, which has the active ingredient glyphosate,” Murrell said. “In March last year the World Health Organisation classified glyphosate-based herbicides as ‘probably carcinogenic'. “Herbicide tolerance is the main trait of GM plants grown worldwide -- this means it can be sprayed with weedkiller and not die." As for the actual risks associated with herbicide use? "The Australian regulators have declared that the particular GM foods and crops that have gone through their approval processes to be safe,” Ankeny said. Whether you believe GM foods are safe or that you should to err on the side of caution, the main point is that you have a choice. If you want to avoid eating all foods that have in some way included GM in their process or final product, certified organic food is another solution. “Buying certified organic is one way to do it because there is zero tolerance for genetic modification in any aspect of the production of certified organic food,” Bray said. "It’s when you start to get into the refined foods that you have to do some research."